Lower Valuations May Signal Solid Gains For Stocks | Integrated Wealth Strategies, Inc.
Stocks have rebounded strongly off the December lows, with the S&P 500 Index adding 2% in January to its 7% gain over the last week of 2018. We see potential for further gains ahead given the fundamentals supporting economic growth and corporate profits, along with a Federal Reserve that appears more flexible than previously feared, and improving prospects for a U.S.-China trade deal. Not only do we believe stocks should garner support from strong fundamentals, but we also believe the stock market is pricing in too much pessimism relative to the outlook for corporate profits. The price-to-earnings ratio (PE) for the S&P 500 Index fell nearly 5 points last year (from roughly 19 to 14), one of the biggest drops in decades. PE is a measure of how much market participants are willing to pay for companies’ future earnings. To determine what this might mean for stocks going forward, we identified periods with the biggest drops in PE (3 points or more) and analyzed stock market performance from those points forward. We found that after their PE declines, the S&P 500 produced an average return of 17% over the next year, as shown in the LPL Chart of the Day. Bottom line, stocks appeared to be on the discount rack during the holidays, and that discount may have increased the likelihood of above-average returns in 2019. 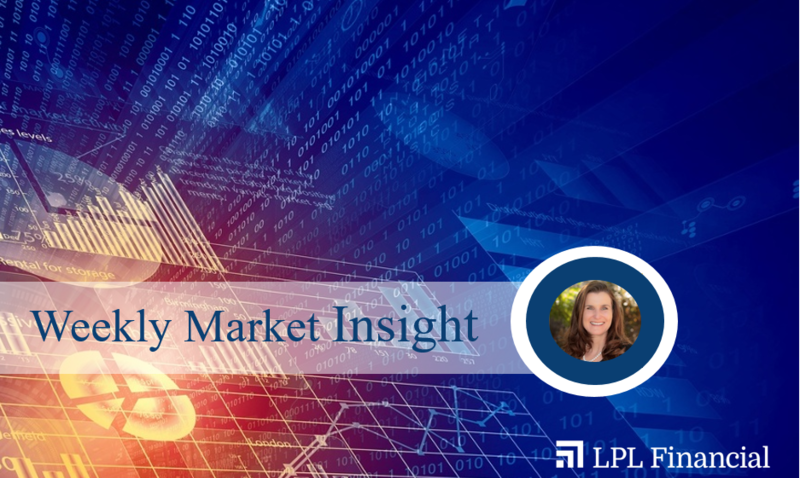 For more of our thoughts on what lower valuations may mean for stocks in the coming months, please see this week’s Weekly Market Commentary.